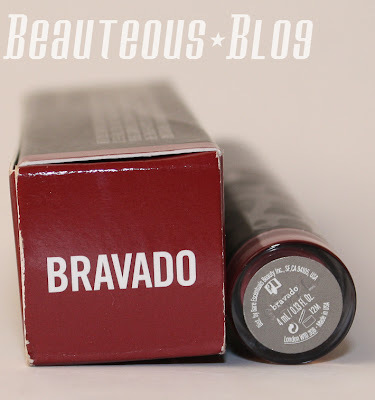 The shade that I'm reviewing is in the color Bravado. The color is very pigmented. It’s a reddish deep brick color. Not a true red, but it’s a deep color. It has a really cute packaging, great for traveling. 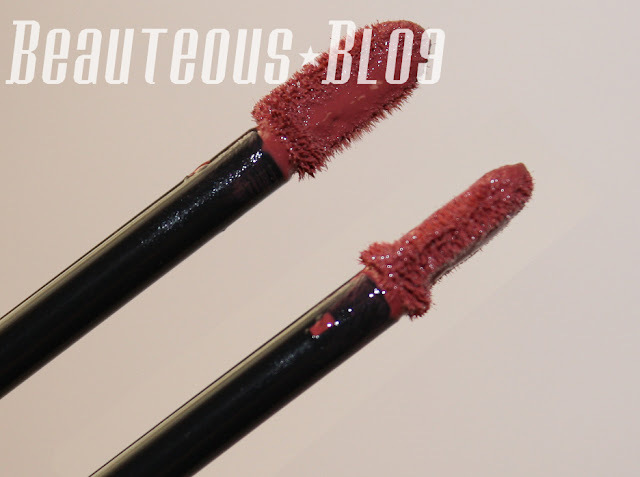 It’s a full coverage lipcolor, it goes on like a very smooth lipstick which I like a lot and it hydrates your lips if yours tend to dry through the day. 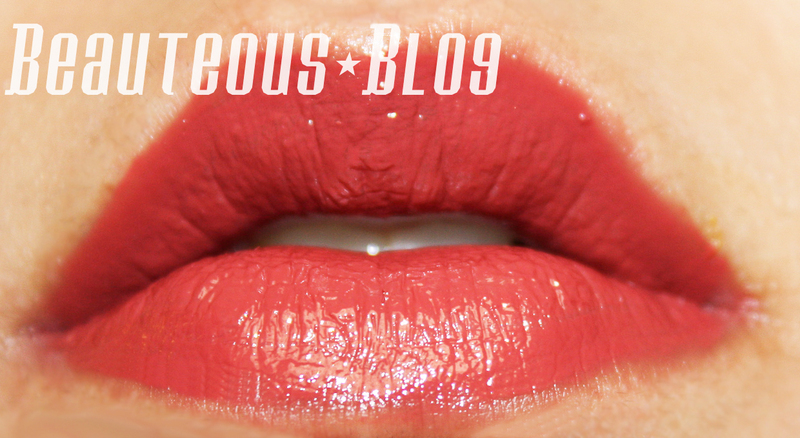 Its one of those products that’s like a lipgloss and lipstick all in one! 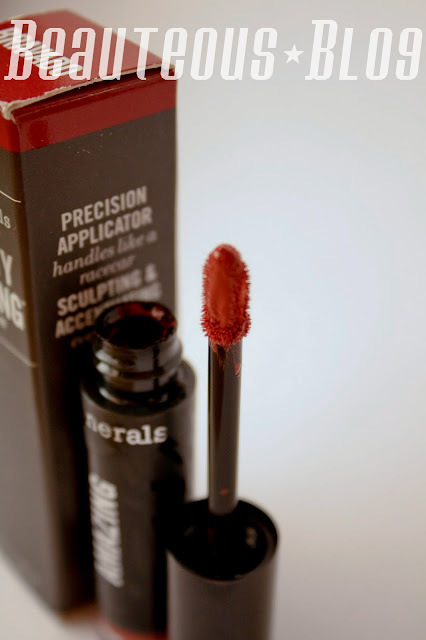 The interesting element about this product is the applicator. 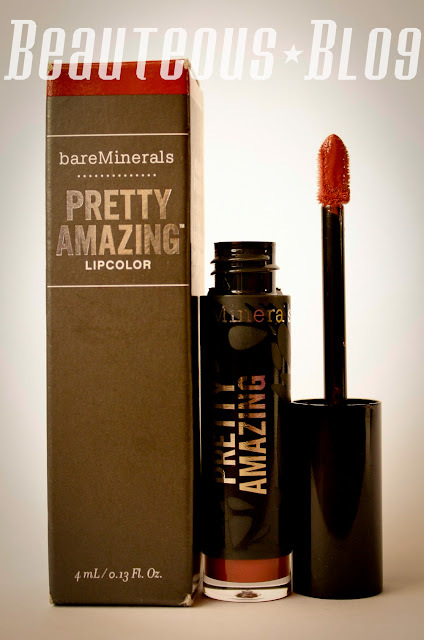 It promises to contour to your lip and give precise application of the product. I honestly don’t find a HUGE difference with this applicator, and I’m fine with the regular hoof shaped applicator. My only issue with this product is the applicator. Due to the special shape of the applicator (notice how its flat but has a rounded part) it makes it a bit messy to take the wand out. If the stopper was maybe 2cm wider it wouldn’t be so tough to take the wand out. The stopper doesn't really help keep the product in the tube, the wand ends up picking up a lot of product. The swatch is done with bare lips. Overall this product is great for those with dried lips. This lipcolor DID feather on my lips, if you live in a very hot and humid city and your prone to sweat then i suggest using a lip liner. It doesn’t have any scent or taste to the product which was a bit disappointing coming from BE, their lipglosses have the most amazing scents! 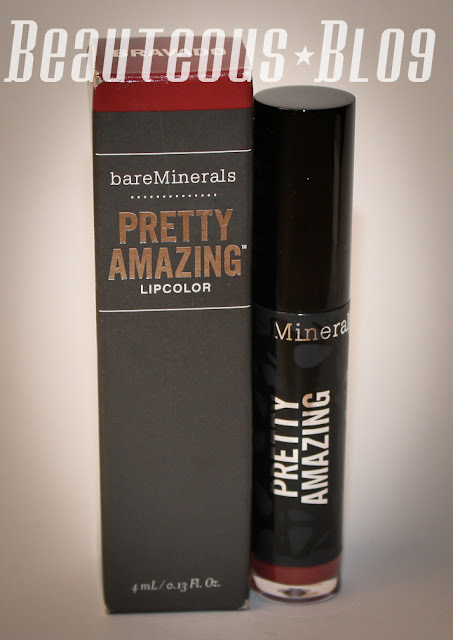 Available now at www.bareescentuals.com for $16 for .13 fl oz and Ulta. Gloss and lipstick all in one! Applicator can make using the product very messy. Feather's if not using a lipliner. Bit pricey compared to drugstore brands. So what do you all think? Would you purchased this product? Have you used it already? Let me know, comment below!